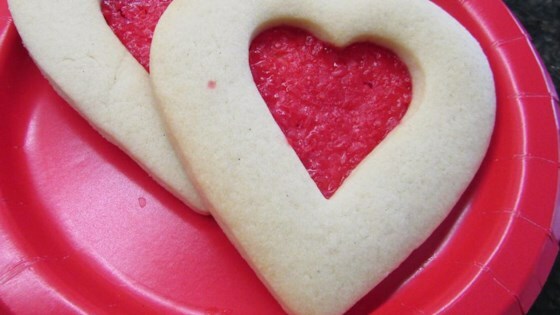 "Heart shaped cookies with a middle of melted, hard candies." Bake at 350 degrees F (175 degees C) for 10-12 minutes. When cookes have cooled, remove from sheets. The cookie can be frosted if you desire.